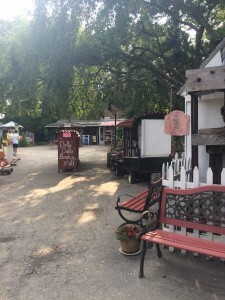 I blog over at Bookmark Lit and have been doing so since July 2014 - coming up on two years in a couple weeks! This isn't much compared to some bloggers, but I have almost never kept a hobby around this long. I have a short attention span when it comes to lots of things I try out, so I'm excited that blogging has stayed constant. Aside from blogging and reading, I collect and build Lego with my boyfriend, watch football and Friends religiously, and eat a lot of pizza. You can find me on Twitter and Instagram too. Summer reading is my favorite. I am definitely the type of person who reads based on the season, so I save a lot of summer or beach-themed books for these warm months. 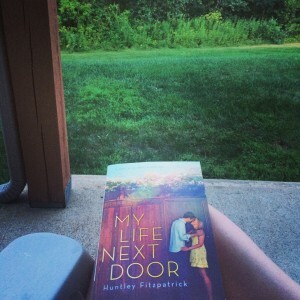 I recently shared my summer TBR and goals on my blog, but I want to expand that a little here today! I'll share some of my summer reading recs, the books I plan to read this summer, and some other summery things I plan to do. This book is not perfect by any means, but it was a perfect beach read for me. I find myself gravitating towards older books when they're published again with updated covers. I can't resist. This reminded me a lot of the overly dramatic books I'd read in the late 90's/early 2000's. If you're feeling nostalgic, give it a try! Woooof. This is a heavier beach read for sure. I loved the setting and characters so much. Just be prepared to cry at the end. If you're like most people and have already read this one, I've also shared some books similar to it if you're looking for even more recs. 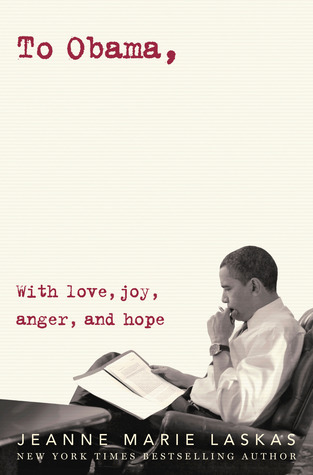 As you'll be able to see below, I am reading the second book in this duo this summer. I can't believe I've waited this long because I really, seriously enjoyed the first book! I've never been to Nantucket but it reminds me a lot of Cape Cod, one of my favorite places on planet earth. If you're into comics at all and you're a contemporary reader, you'll definitely want to check this one out! It dealt with some fairly heavy issues, given the format, and tackled them very well. I loved seeing the girls grow over the course of the summer - not too much, but a very realistic amount that leaves you with hope that it'll continue. Any book about returning home and seeing an old boyfriend again will end up on my TBR. 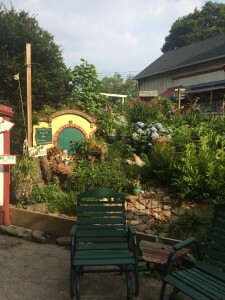 Add in the fact that this one takes place about an hour from my house in one of the best parts of Connecticut? Done deal. I loved the setting so much and really liked seeing the main character figure herself out. I'm a huge fan of parallel life books, so this one was highly anticipated for me. I loved seeing the two alternatives - especially because one takes place in Paris! Very easy and quick read for the summer too. I'd definitely recommend it if the synopsis appeals to you! I'm sure this book will be featured on lots of people's lists for this feature! This is a book I like more over time. I'm definitely due for a reread at some point because I need Matt Finch back in my life. I loved the road trip aspect and the fierce friendship between the main characters. This is certainly not a fluffy contemporary book, but it's really fantastic. I found this book to be quite unlike Kody Keplinger's other novels - in a good way! It's definitely grittier and more serious, but has a wonderful friendship and a really interesting premise. It also has a blind MC! I'm also due for a reread of this one. I know Ginger loves Sarah Ockler so I'm sure you've all seen her posts about this book! :) I loved the friendship of this story too. When the climax of the book happened, the girls didn't get over their fight right away for the sake of moving along the plot. It felt like a well-developed and realistic friendship. I've had most of these on my TBR and/or in my possession for a while now -- some as long as a year or so. I always tell myself to set aside summery books for the warm months but I end up forgetting some that I want to read! 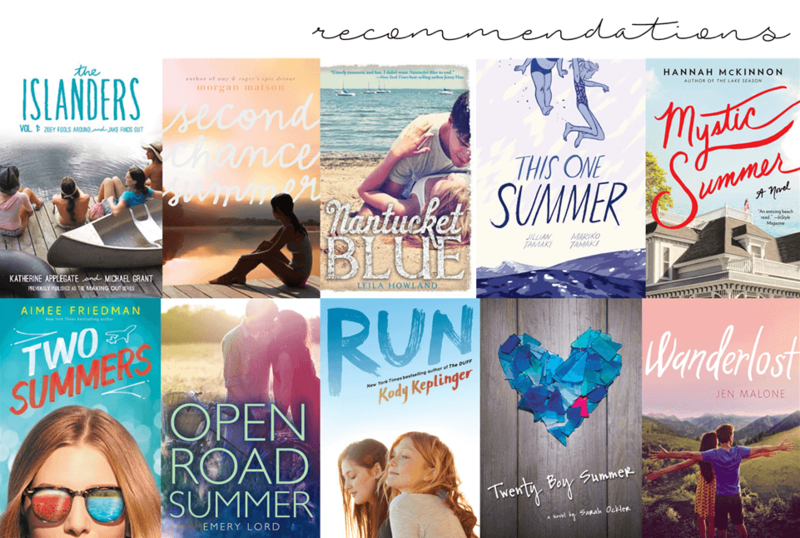 With a new Morgan Matson out, a duology to finish, and a couple of other new releases to check out, I'm totally ready to read at least these ones this summer! 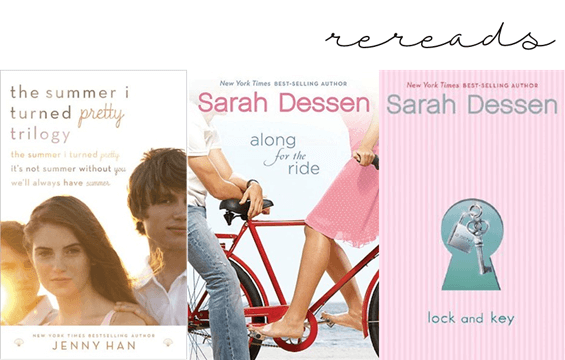 I started rereading Sarah Dessen last year, as she's a perfect summer contemporary author, and want to finish this year! These two are some I'm really looking forward to. I also definitely need to reread The Summer I Turned Pretty trilogy since I bought the gorgeous Target bind-up copy last year. 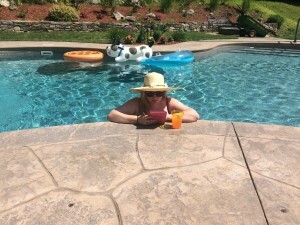 Reading outside, anywhere! • There's a land preserve near my office that becomes a favorite of mine during the warm months. 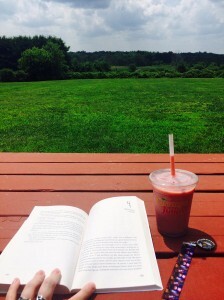 I love to spend my lunch break reading in the sun, sometimes with a coffee or smoothie. The second picture is of my back porch at my apartment. I love reading out there because it usually gets shady in the late afternoon, so I don't get too hot. Other hobbies • As I said, I like building Lego with my boyfriend in my spare time. 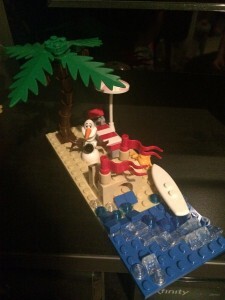 I built this little Olaf summer scene last year for a build contest in our Lego club. I hope to pick up building again this summer because we have a vacation-themed build contest this month. I also got into planning this year but am absolutely terrible about keeping up with it. 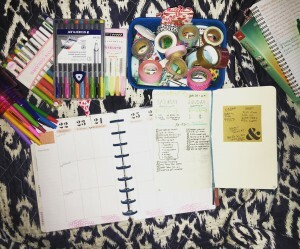 I have so many nice pens, planners, and notebooks but I just get so LAZY. I got a new small Day Designer that starts in July so I hope to be better with it this summer. I'm so busy with vacations, weddings, parties, and other summer events. So that's it for me! I hope you enjoyed some of my recommendations and the little glimpse at what my summer will look like. Thanks for hosting this great series again, G! Thanks Lauren for these awesome reading recs! 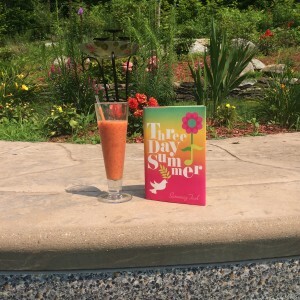 I love that you're re-reading Sarah Dessen, as I did the same last summer. And of course I'm a huge fan of the Summer series re-read! 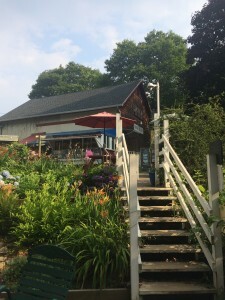 Spending a summer in New England has been on my travel bucket list for quite awhile. One of these days I hope to make it a reality! Your home looks lovely. I like summer books as well but I'm also always playing catch up during summer break. There are so many books I don't have time to read during the school year so I end up postponing reading certain books until summer comes along. Hence, my summer tbr probably has one book that's actually a 'summer read.' But I'm always up for book recs because why not! All of these books look pretty great though and some of them (ie. The Unexpected Everything) are already on my tbr so hopefully I'll read them eventually if not this summer. 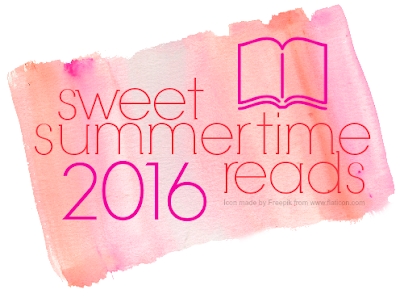 I try to read summer books year round since I love them and have so many books that I want to read during the summer. I do usually save quite a few for the warmer months. You have some great recommendations.